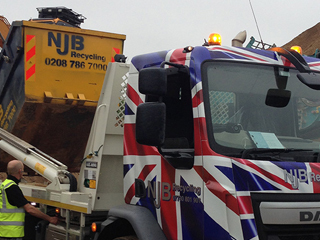 NJB Recycling skip hire Thames Ditton provides state of the art waste collection, rubbish removal and recycling services in KT7. 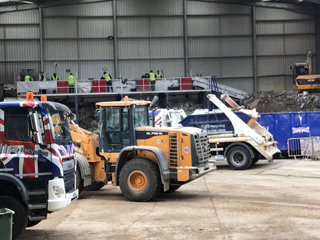 If you are a building site looking for KT7 rubbish removal and large builders skips Thames Ditton, then NJB Recycling can supply these directly to your site, collect them when you require, and soundly dispose of the waste within our very own recycling plant. We recycle the majority of all waste that we collect from our skip hire Thames Ditton services, and take the green credentials and policies of your company seriously. We always aim to meet all regulations and government guidelines when it comes to waste disposal and recycling. Need details on Mini skip hire prices, small skip prices or just average skip hire prices in Thames Ditton? We’ll more than beat them – let us worry about the skip cost for you. Available in a range of sizes up to 40 cubic yards, you can hire mini, small, midi, large and RoRo skip bins and skip bags from us for less – and you may even be able to get hold of them the same day. We will certainly aim to be with you with our skip bags, skip bins and skip lorry vehicles as soon as possible. Skip hire prices shouldn’t ever break the bank – and we’re pleased to continue offering small skip hire prices and skip sizes and prices for the best rates in our region. Need local, ‘near me’ support? Look no further – NJB Recycling are the team to call when you need collections, clearances, dump runs and more undertaking at short notice. Check out our same day skip hire or recycling – or call in to learn more about skip sizes prices. Don’t worry about skip cost – call on a team that genuinely cares about bringing you great value on skip hire in Thames Ditton. Call us on 02087867000 or book online today – as soon as you can!